The secret to a profitable practice in any economy. Make This Your Best Year Yet! 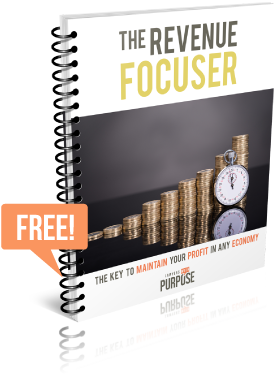 Get Instant Access to THE Revenue Focuser! Become part of a vital, supportive community of like-minded estate and elder law attorneys. Lawyers with Purpose is unlike any other practice development company. More than just a software company, we offer state-of-the-art drafting software for estate planning, elder law and veterans' benefits. More than a coaching firm, we offer hands-on coaching and team training. More than a continuing legal education provider, we offer unsurpassed legal / technical learning opportunities both online and in-person. Becoming a Lawyer with Purpose will change your life. That's not rhetoric. It's our mission. As a Lawyer with Purpose, you can build a purpose-driven practice with personal and professional balance. You'll become part of a vital, supportive community of like-minded advisers and colleagues. And, as you implement LWP systems and processes, you will find that you not only serve clients efficiently and profitably, but you'll gain the freedom to have a true impact on their lives. If you're ready to experience a transformational difference -- join us now. We can't wait to meet the new you!